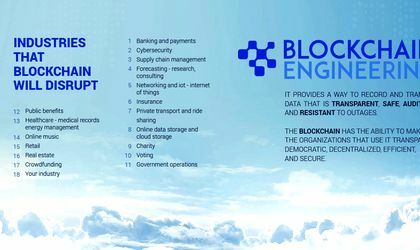 Blockchain Engineering – a pioneer company in application development using blockchain technology – is launching officially at the Internet & Mobile World 2018 event. 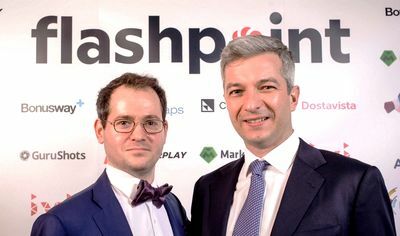 Founded in May this year, the company has already materialized projects and others underway, and the founders estimate a turnover of EUR 500,000 in the first year of activity. Blockchain is a technology that is already revolutionizing more industries and promises a change of paradigm of relationships in today’s society. In essence, the blockchain is a decentralized registry that stores certain information that cannot be further modified because they are on thousands of computers in the world. This technology is a secure way to record data and make sure they cannot be modified in the future without the majority. The database created by the blockchain can contain both information and any other value – property titles, identities, money, even votes – and they can be stored and managed safely. “We are a small company at the beginning of the road, specialized in advanced programming and development of blockchain applications. Our focus is the revolution of many industries by adopting blockchain technology. We will develop a team of Romanian programmers, but we will address the global market. We already have contacts with potential customers in Singapore and London and we will continue to promote in other global technology centers such as Sillicon Valley, Toronto, Seattle or Seoul,” said Cezar Marin, CEO and founder of Blockchain Engineering. “For our official launch on the market we developed an application that helps understand technology. So, at our stand at the Internet & Mobile World 2018 event, you can get coffee for a token blockchain. This, after you install a virtual wallet in which a likes on Facebook are “token” using blockchain technology. And everything happens in seconds!” said Marin. Blockchain technology provides a way to record and transfer data in a transparent, decentralized and secure manner and is applicable in many areas such as banking and payments, cyber security, logistics, voting, transporting people, storing online data and cloud, energy management, government operations, charity, insurance, and more.